Not everything is set in concrete, but the mixer is getting closer. With some games still to be played in regular season play, the final New Brunswick Interscholastic Athletic Association girls’ schedule for this weekend will be determined this week. For now, let’s have some scene-setters. We know the four teams preparing to battle at the home of the Moncton High Purple Knights. Fredericton High Riverview Ford Black Kats will kick things off against Moncton’s Bernice MacNaughton Highlanders at 6:30 p.m. on Friday. 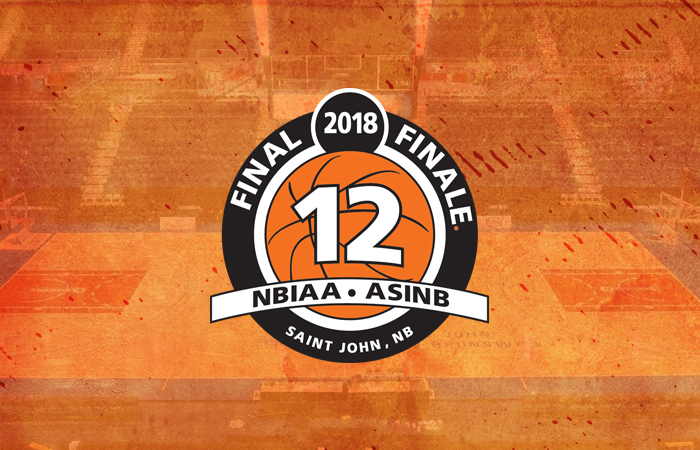 Host Knights will tip off against Saint John’s St. Malachy’s Memorial High Saints in the 8:15 p.m. game for the right to get to the provincial Final Four. The winners meet in a 1 p.m. final Saturday. Four teams have dates booked for Quispamsis. The opening game Friday pits Riverview High Royals against Sussex Regional High Sonics at 6:30 p.m. Host Kennebecasis Valley High Crusaders, the No. 1 seed from the SouthWest, get Dieppe’s Ecole Mathieu-Martin Vedettes. The winners then meet in Saturday’s 1 p.m. final. This is going to be a lot of fun in Sackville to decide who is going to Harbour Station. Rothesay High Red Hawks will tangle with Salisbury’s JMA Armstrong High Cougars on Friday at 6:30 p.m. Host Tantramar Regional High Titans then face St. George’s Fundy Middle High Mariners at 8:15 p.m. in front of what should be a raucous crowd. The winners meet in Saturday’s 1 p.m. final. The Border Town is ready to make some noise with its provincial sectional. James M. Hill High Tommies of Miramichi will tangle with Woodstock High Thunder in the opener at 6:30 p.m. At 8:15 p.m., the host St. Stephen High Spartans face Moncton’s École L’Odyssée Olympien. NorthEast fans of the A bracket will be heading to Hillsborough to see a four-team derby. It opens Friday at 6:30 p.m., when Harvey High Lakers battle Belleise Regional High Bears. Host Caledonia Regional High Tigers then face Grand Manan Community School Breakers at 8:15 p.m. You know the drill from there.The two winners meet in Saturday’s final. Things kick off in Grand Falls at 6:30 p.m. when Stanley Consolidated School Blue Devils face Hartland Community School Huskies. The host John Caldwell School Golden Knights will have the home fans behind them when they face Blackville School Eagles at 8:15 p.m.
It’s a 1 p.m. final to get to Saint John.